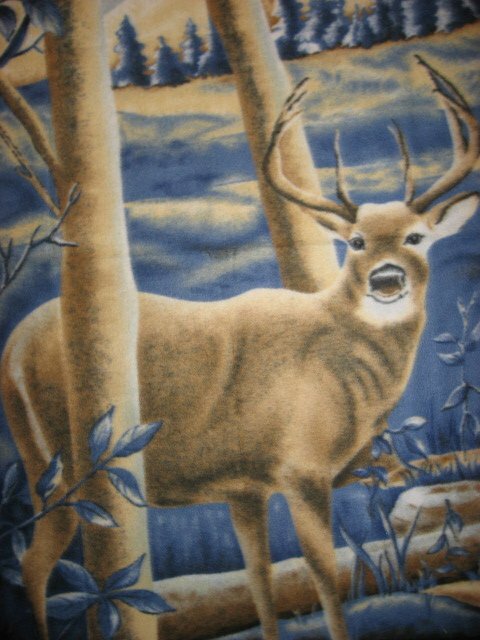 Deer in the woods fleece blanket. Has a blue tint to it to depict evening. Depicts a large deer in the woods. Single thickness. Same picture on both sides. Great Gift For your favorite hunter or any Deer fan.